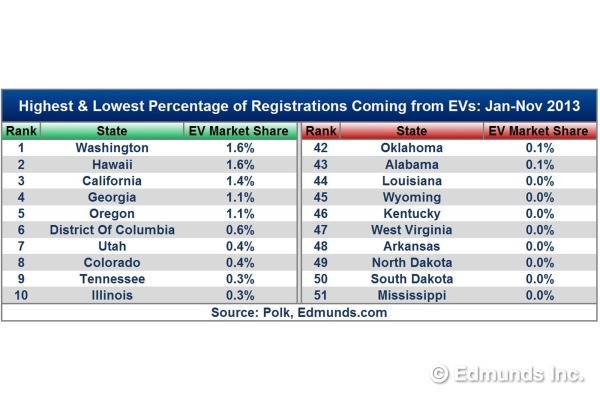 Last week, Edmunds.com published a list of states that had the highest and lowest percentage of electric car registrations. I can’t say I’m necessarily surprised. Of the top ten, you have four states (California, Colorado, Oregon and Washington), plus the District of Columbia – all strongholds for liberal types who love electric cars. This is not, by the way, a criticism. Merely an honest observation. As well, gasoline tends to be a bit on the pricey side in these states.